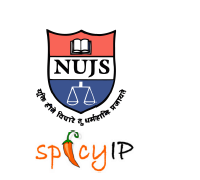 The MHRD IP Chair at the National University of Juridical Sciences (NUJS), Intellectual Property and Technology Law Society (IPTLS) & Spicy IP are organizing the First PIP (Pondering Intellectual Property) Essay Competition, 2012. ILS, Pune is organizing a National Seminar on Copyright Amendment 2012 on 25 & 26 August 2012. Fee: INR 500 for Students. Registration form can be downloaded from here. Deadlines: Registration: August 23, 2012. No on spot Registrations. For more information, click here. 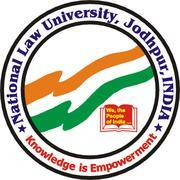 The Gujarat National Law University is organizing an International Conference on Trade and Competition Law on 29 and 30 September 2012. The Gujarat National Law University Centre for Sports Law (GCSL), in its endeavour to reflect upon the leading sports concerns of the country and world has launched a working paper series on “What the Indian Premier League must learn from English Premier League”. 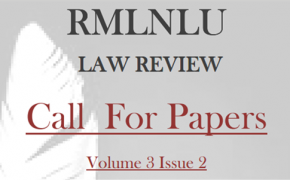 RMLNLU Law Review, a biannual, peer reviewed journal published by the students of Dr. Ram Manohar Lohiya National Law University is currently accepting papers for its Volume 3 Issue 2. Theme: Any contemporary legal issue. 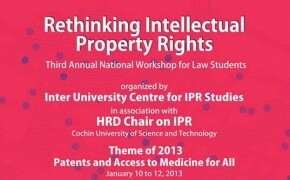 The Inter University Centre for IPR Studies in association with HRD Chair on IPR, Cochin University of Science & Technology is organizing the third Annual Workshop for law students on Rethinking Intellectual Property Rights at Kochi, Kerala from January 10 to 12, 2013. 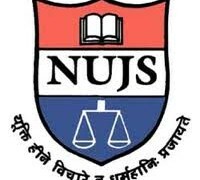 National Law University, Jodhpur in association with Mindspright Legal is organizing the first National Essay Competition. 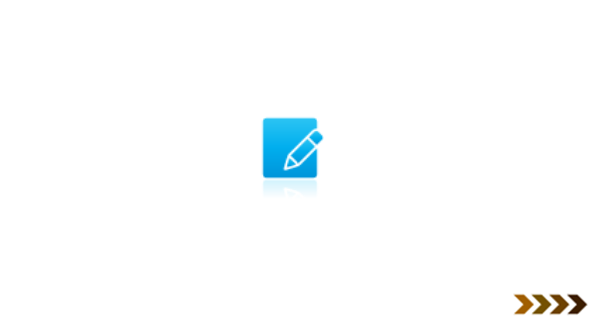 Theme: Public Interest Disclosure and Protection of Persons Making Disclosure Bill, 2010. The Journal of Governance published by the Centre of Governance, NLU Jodhpur is currently accepting submissions for Volume I, Issue 6. The journal aims to serve as a platform for analyzing the evolution of the governance scenario in our country. Maharaja Agrasen College, University of Delhi is organizing an International Conference on ‘Gender Relations in Developing Societies: A 21st Century Perspective’ on 30 & 31st October, 2012. 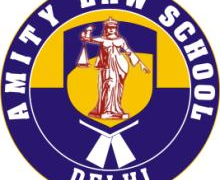 The ALSD Student Journal (2249 – 4421), an initiative of The Student Journal Society of Amity Law School, Delhi (GGSIP University) is accepting submissions for Volume 2, Issue 1 of the Journal. The issue shall be multi-disciplinary. However it is encouraged that the paper take in to account recent developments in a particular field of law. Articles with contemporary legal relevance will be preferred over others. The Corporate Law Cell of ILS Law College, Pune is organizing a one-day seminar on Competition Law on 11th August 2012.
iThought (Independent Thought), a national human rights organization is organizing its first National Legal Essay competition. School of Law, KIIT, Odisha is organizing its first All India Essay Writing Competition. 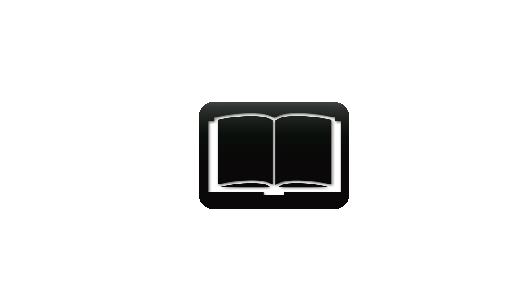 The International Journal of Legal Studies and Research [IJLSR], managed by the School of Technology, Law and Development (STLD) of NUJS, Kolkata is currently accepting submissions for its September 2012 issue. National Law School of India University (NLSIU) Bangalore is organizing a National Seminar on “25 Years of Consumer Protection Act: Challenges and The Way Forward” on 22nd and 23rd September, 2012. 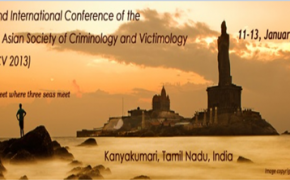 The seminar will be held at the International Training Centre, NLSIU.